The Duchess of Cambridge officially returned from maternity leave on Tuesday, and she brought along some appropriately hued jewels for her first engagement back at work. 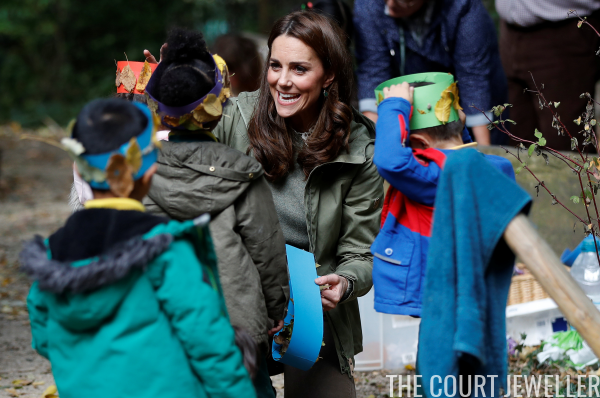 This first solo engagement following her leave was a visit to Sayers Croft Forest School and Wildlife Garden in London, an activity center aimed at educating and involving children and the local community in the environment. 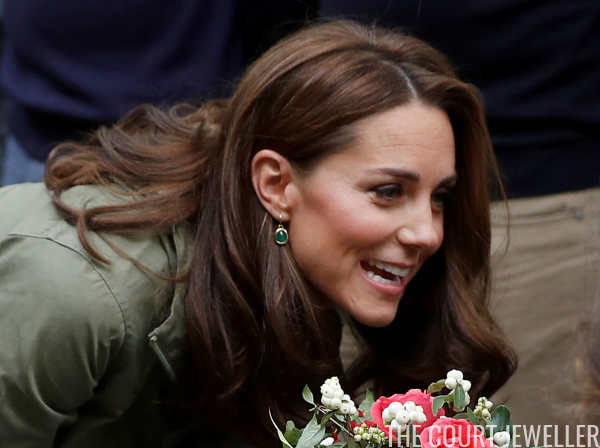 For a day devoted to green activities, Kate very smartly wore green jewelry. These are the Siren earrings by Monica Vinader. The delicate drop earrings are set with green onyx. 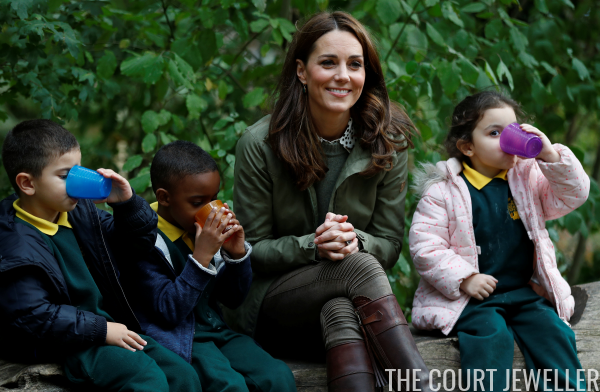 Kate debuted them during the 2016 royal tour of Canada, and they've been workhorse pieces in her jewelry box ever since. 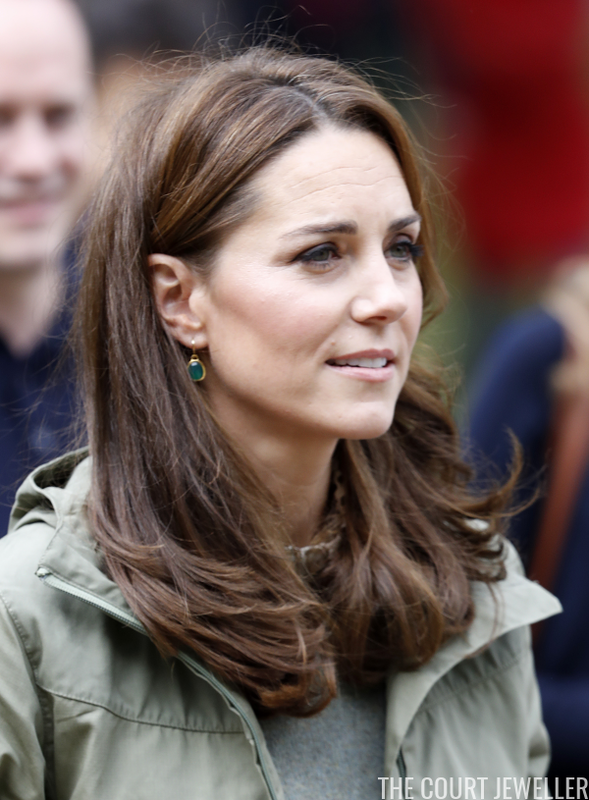 The earrings fit well with the tone of Kate's entire outfit, which was appropriately casual for the outing.